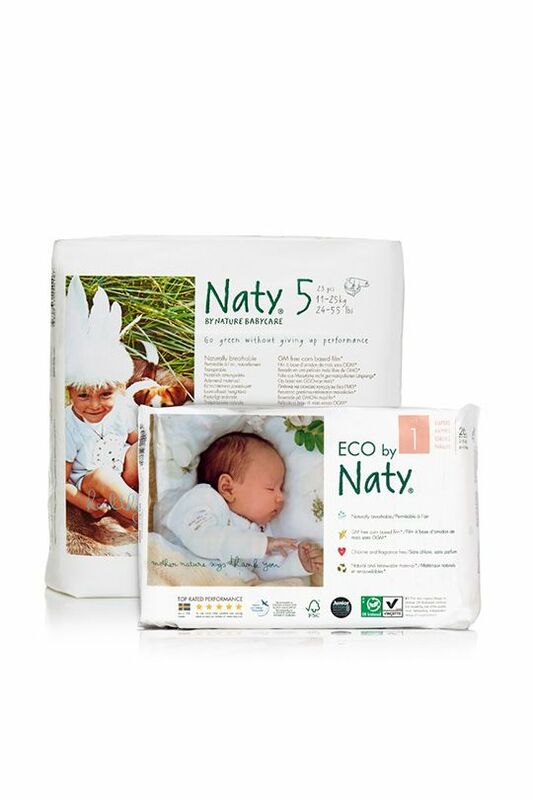 Everything Eco by Naty does stems from a simple, powerful, belief: using natural materials and steering clear of nasty chemicals is best both for baby and for the planet. Creating high performing products meeting the very highest eco standards is particularly challenging in their field – nappies and hygiene products for babies and mothers. Naty’s work ends only with the highest possible certifications, making them innovators in their field and a market leader. Their best-known product is the first diaper with OK Biobased Certification from AB Vincotte. This nappy is naturally breathable, with a GM-free cornstarch film as a leakage barrier (no plastic!). This gives an airier, drier, more comfortable, hypoallergenic diaper (and fewer issues with nappy rash!). The main absorbent is FSC-certified Scandinavian wood pulp whilst the various layers are also made of natural, biodegradable materials such as sugarcane. 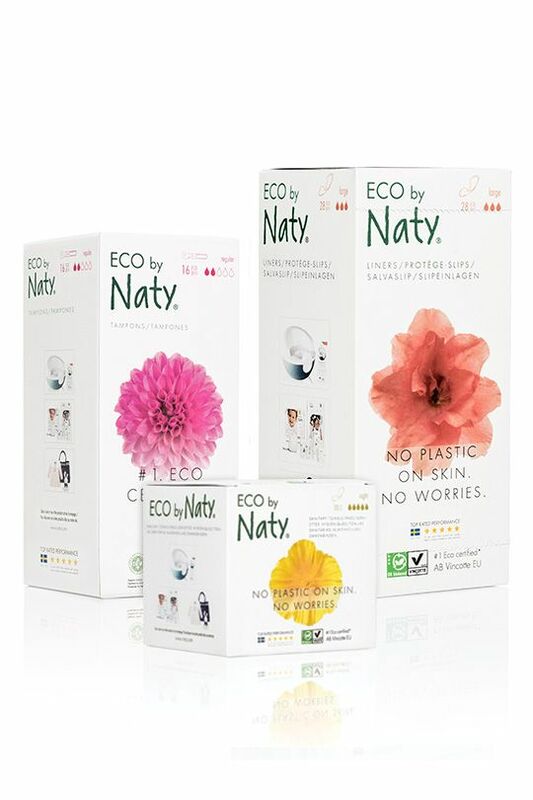 Naty diapers are 100% GMO free, chlorine free, unbleached and perfume-free – reducing the amount of harmful chemicals coming into contact with baby’s skin. Naty is the creation of lawyer-turned-ecological entrepreneur Marlene Sandberg. As a mum of two littles, she was struck by the sheer volume of waste resulting from disposable nappies, and the reliance on plastic/oil-based options. She set about creating a functional alternative, and after many years of painstaking research, Marlene launched a biodegradable and environmentally friendly disposable diaper. A line of equally eco baby-care products - from skincare, wipes to pull-ups - quickly followed. 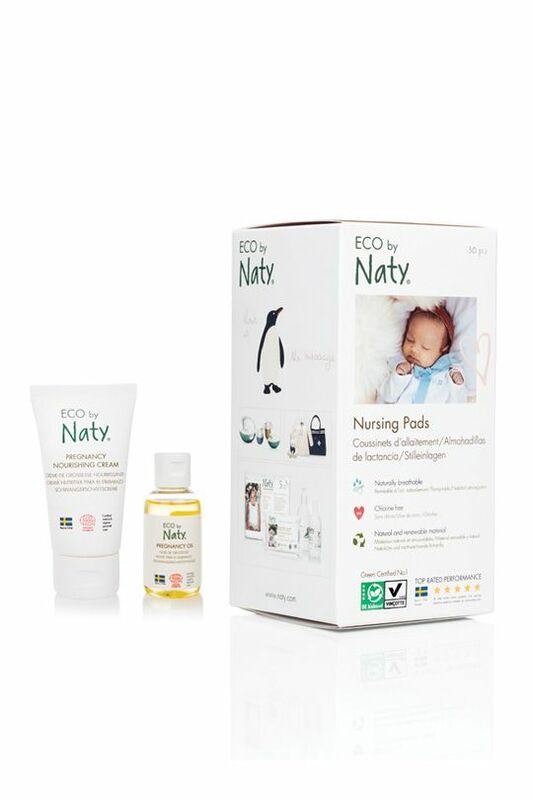 Eco by Naty now offer a wide range of products, from breast pads to portable potties, skin and personal care products for mama and even clothing. Good news for parents – Naty offer delivery to your door through their simple-to-use website. Order a monthly subscription, as you go, or even a trial pack! Naty currently ship to the Europe, the US, Canada and Australia.